Just outside of Naples, under the shadow of Mount Vesuvius lies the City of Pompeii, still partially buried under ash and lava from the erupting Mount Vesuvius. 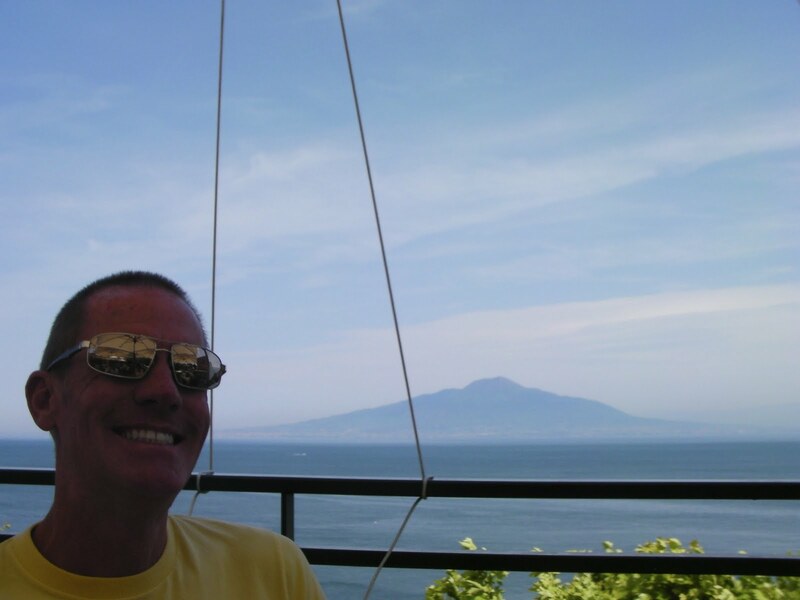 I visited the famed City of Pompeii last year with some friends while vacationing in Praiano, Italy. It was a beautiful day to visit Pompeii! The excavated town offers a snapshot of Roman life in the 1st century, frozen at the moment it was buried on 24 August AD 79, The Forum, the baths, many houses, and some out-of-town villas like the Villa of the Mysteries remain surprisingly well preserved. Pompeii was a lively place, and evidence abounds of literally the smallest details of everyday life. For example, on the floor of one of the houses (Sirico’s), a famous inscription Salve, lucru (Welcome, money), perhaps humorously intended, shows us a trading company owned by two partners, Sirico and Nummianus. In other houses, details abound concerning professions and categories, such as for the “laundry” workers (Fullones). Wine jars have been found bearing what is apparently the world’s earliest known marketing pun, Vesuvinum (combining Vesuvius and the Latin for wine, vinum). In 89 BC, after the final occupation of the city by Roman General Lucius Cornelius Sulla, Pompeii was finally annexed to the Roman Republic. During this period, Pompeii underwent a vast process of infrastructural development, most of which was built during the Augustan period. At the time of the eruption, the town could have had some 20,000 inhabitants, and was located in an area in which Romans had their holiday villas. At the time of the eruption, Pompeii had reached its high point in society as many Romans frequently visited Pompeii on vacations. It is the only ancient town of which the whole topographic structure is known precisely as it was, with no later modifications or additions. It was not distributed on a regular plan as we are used to seeing in Roman towns, due to the difficult terrain. 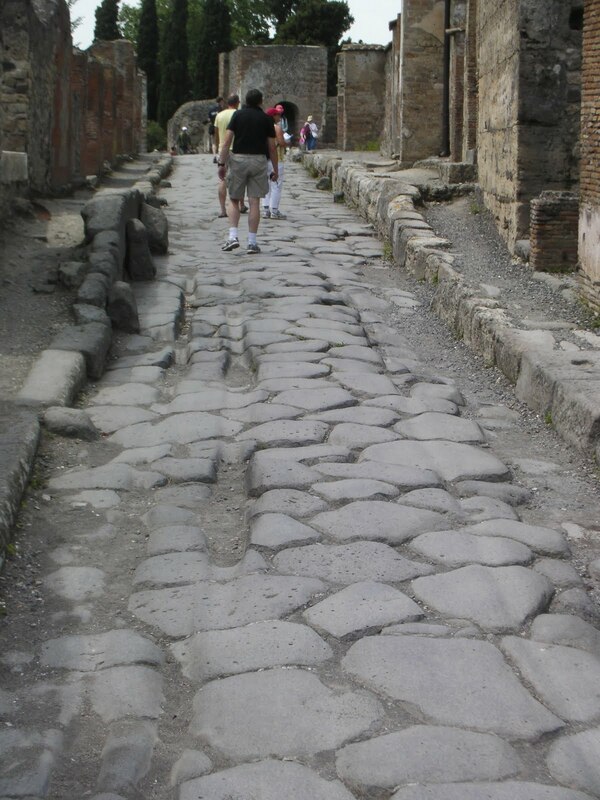 Its streets are straight and laid out in a grid, in the purest Roman tradition; they are laid with polygonal stones, and have houses and shops on both sides of the streets. In many of the Streets you can still make out the grooves that were worn into the Cobblestones from chariot’s running through the city. The Forum was the designed as a place for social gatherings and crowd control, like many “Forum’s” in Italy, they are designed to be in the center of the town. A large gathering place for events that the emperor may call for such as Debates, Political events etc. 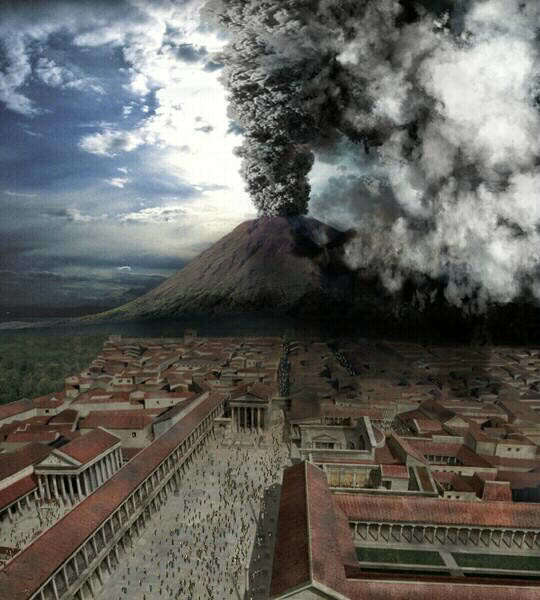 By the 1st century AD, Pompeii was one of a number of towns located around the base of the volcano, Mount Vesuvius. The area had a substantial population which grew prosperous from the region’s renowned agricultural fertility. Many of Pompeii’s neighboring communities, most famously Herculaneum, also suffered damage or destruction during the 79 eruption. By coincidence it was the day after Vulcanalia, the festival of the Roman god of fire. 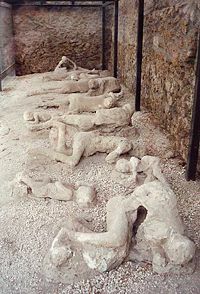 Recent studies and tests indicate that at Vesuvius and surrounding towns heat was the main cause of death of people, previously supposed to have died by ash suffocation. The results of this study show that exposure to at least 250 °C hot surges at a distance of 10 kilometres from the vent was sufficient to cause instant death, even if people were sheltered within buildings. The people and buildings of Pompeii were covered in up to twelve different layers of soil which was up to 25 meters deep that rained for about 6 hours. After thick layers of ash covered the two towns, they were abandoned and eventually their names and locations were forgotten. 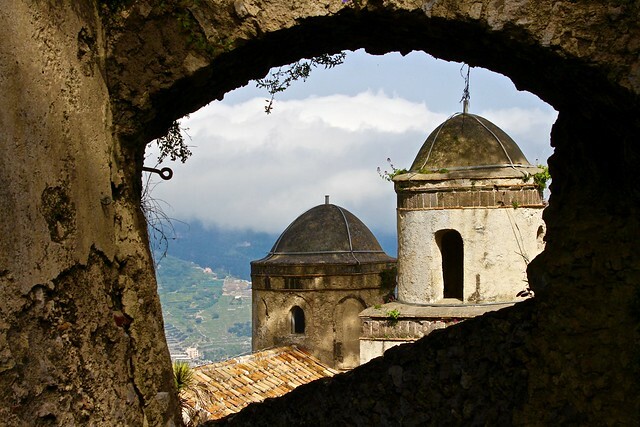 The first time any part of them was unearthed was in 1599, when the digging of an underground channel to divert the river Sarno ran into ancient walls covered with paintings and inscriptions. The architect Domenico Fontana was called in and he unearthed a few more frescoes but then covered them over again, and nothing more came of the discovery. A wall inscription had mentioned a decurio Pompeii (“the town councillor of Pompeii”) but the vital fact that this indicated the name of an ancient Roman city hitherto unknown was missed. Giuseppe Fiorelli took charge of the excavations in 1860. During early excavations of the site, occasional voids in the ash layer had been found that contained human remains. 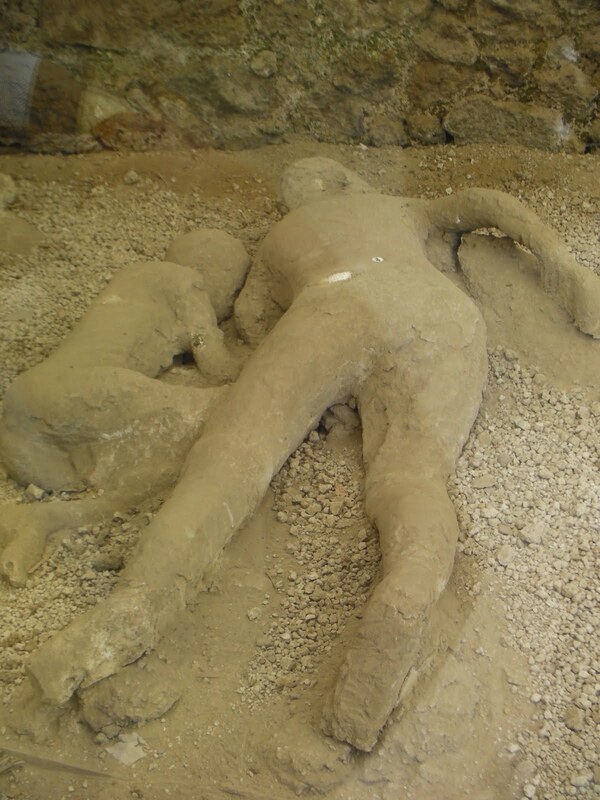 It was Fiorelli who realized these were spaces left by the decomposed bodies and so devised the technique of injecting plaster into them to perfectly recreate the forms of Vesuvius’s victims. 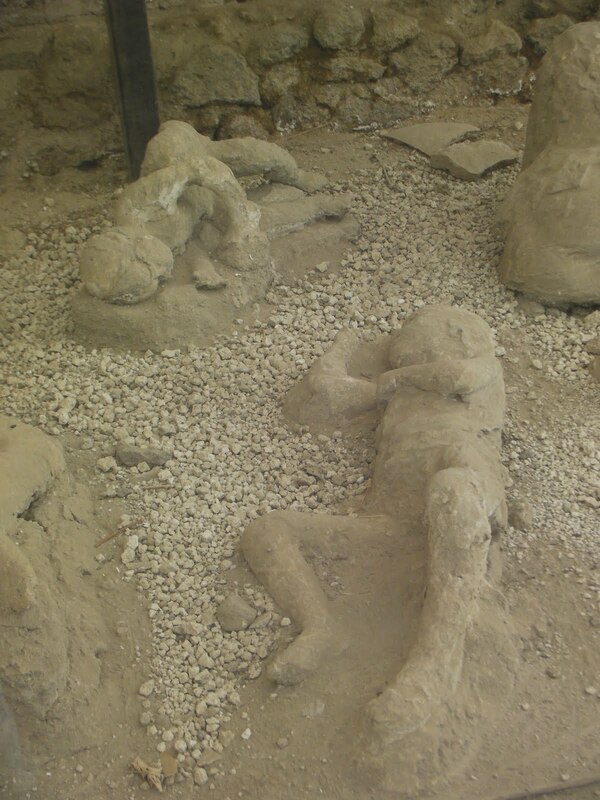 What resulted were highly accurate and eerie forms of the doomed Pompeiani who failed to escape, in their last moment of life, with the expression of terror often quite clearly visible. 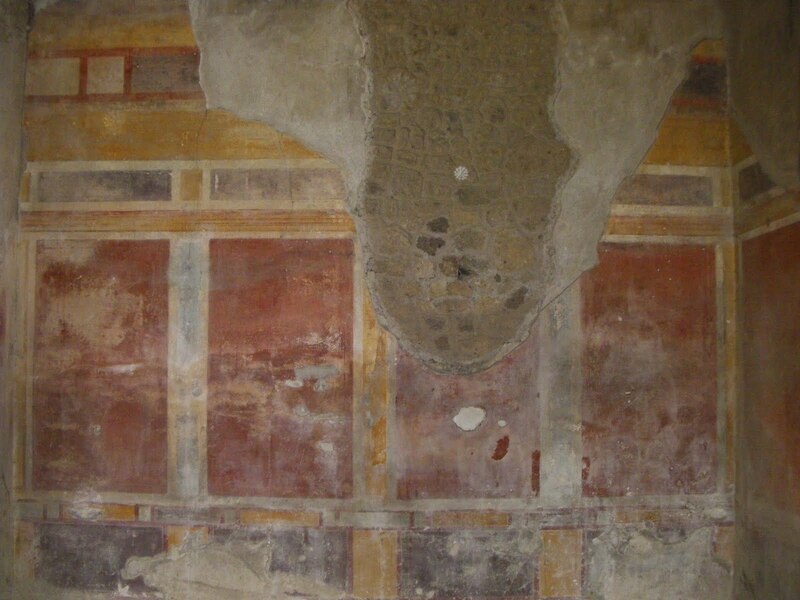 The formal excavation of Pompeii began in 1599 AD and has continued since that time, for more than 400 years. Today there is a tremendous City that stands under the shadow of Vesuvius, but there is much more city still to be unearthed. This is one place worthy of a visit if you are in Italy. I look forward to going back to this fascinating place. I don’t recommend trying to rush through this city, take your time, plan the day around walking through and around Pompeii, you won’t be disappointed. 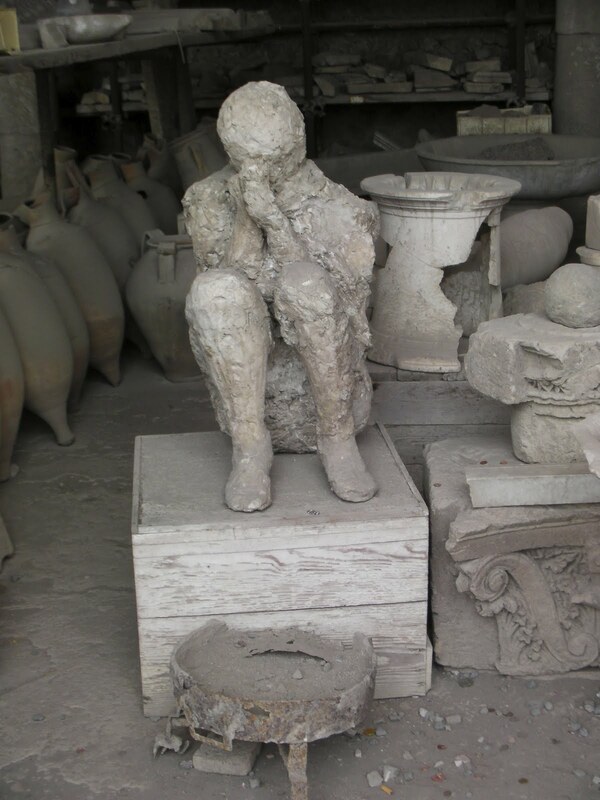 Pompeii, Italy, a set on Flickr.